The Black Sears vineyards lie nestled among hundreds of acres of wild oak forests at the top of Howell Mountain. 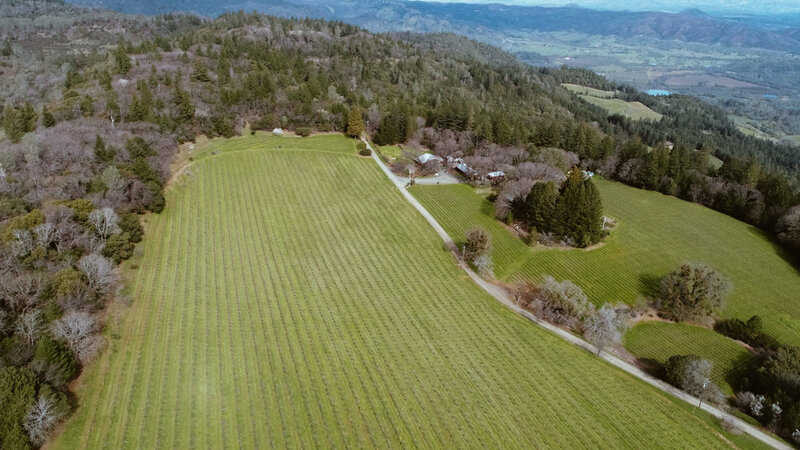 Approximately twenty-four acres of the four-hundred-twenty acre ranch have been planted as vineyard over an east-facing hillside where an apple orchard once stood. Looking down from high above the valley fog, the vineyard shares its home and its view with black bears, mountain lions, hawks and rattlesnakes. At just over 2400 feet, it is the highest vineyard on Howell Mountain and is among the highest vineyards in all of Napa Valley. The unique climate of Howell Mountain produces wines with a firm structure, intense fruit flavors, earthy spice, and round acidity. The ashy, iron-laden soils are perfectly suited for growing full-bodied, peppery Zinfandel and earthy, rich Cabernet Sauvignon and Cabernet Franc. These mountaintop conditions and the varied hillside microclimates combine to produce wines of complex structure, incredible intensity, and the intrepid flavors of a remote and distinctive terrain. The first plantings in 1975 were devoted to Zinfandel. There are approximately seventeen dry-farmed acres of Zinfandel on St. George rootstock with the bud wood coming from the Hayne Vineyard in St. Helena - one of Zinfandel's "Heritage Clones." The six-acre Cabernet Sauvignon parcel was originally planted with clones 191 and 337 on AXR rootstock in 1985. In the early 2000s, it was replanted on 420A rootstock, an acre of See-clone Cabernet was added, and two small parcels were budded to Cabernet Franc. Various fruit and nut trees (including some of the original orchard’s apple trees), lavender, rosemary, sage, wildflowers and a variety of other plants are incorporated in our vineyard. These serve not only to beautify the hillside, but also to encourage the presence of beneficial insects and to mitigate the detrimental effects that monoculture practices can have on the land. At Black Sears, we believe that the role of a winemaker is to bring out the expression of the fruit, the terroir, and the vintage. Black Sears wines bestow upon the palate a sense of the place from which they come—a rugged, gorgeous, mountaintop estate overlooking two magnificent valleys. Our wines are all estate-grown. The fruit comes from only one vineyard—ours. Which means we have full control over our source of fruit: when and how much to prune, how to manage the soil, which fruit to drop, and when to harvest. This enables us to attain the quality and consistency in the vineyard that is required to make great wines year after year. Great wine starts in the vineyard, in the soil, in the sunshine, and it starts with farming. But from there, it also requires a masterful winemaker. Thomas Brown handcrafts the Black Sears wines in small lots and with great care. Born in Sumter, South Carolina, Thomas developed an interest in wine while at the University of Virginia where he studied Economics and English. Later, he expanded his knowledge of wines from all the world's great regions while working at All Seasons Wine Shop in Calistoga. Beginning at Turley Estate in the late 1990s, Thomas continues to hone his craft at Outpost, Black Sears, and his own project, Rivers-Marie, among others. The Black Sears winemaking philosophy is non-interventionist and simple, eschewing the latest fads and technology. And that dovetails perfectly with the organic and biodynamic vineyard practices employed in the Black Sears vineyards. The grapes are picked by hand at the peak of ripeness and immediately crushed and destemmed. 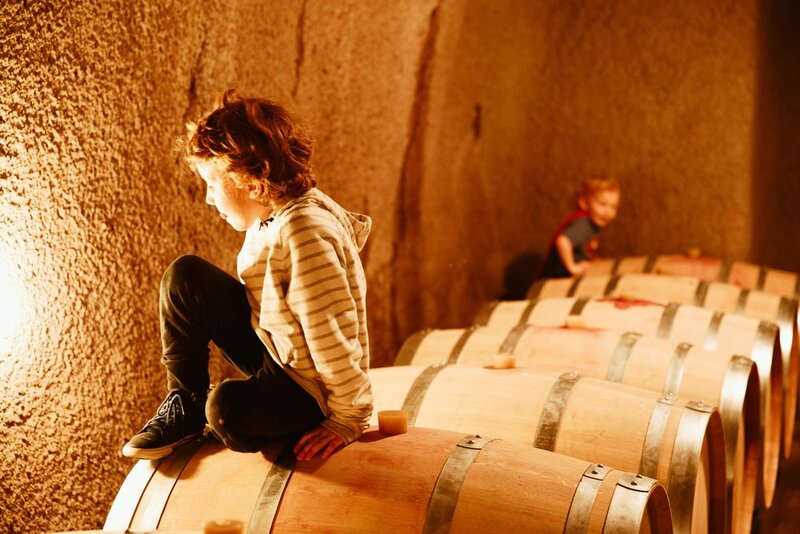 The wines are cold-soaked and fermented in stainless steel tanks; and once dry, they are pressed off the skins and barreled in 100% french oak. There they will age and evolve underground in the Black Sears cave for between 18 and 22 months before they are bottled. Once bottled, they will age for another year or more prior to release.